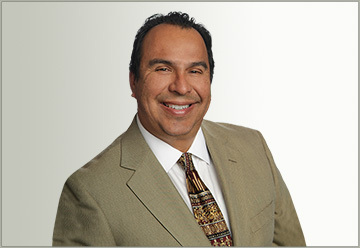 Hello, my name is Rudy M. Vasquez and I am a Texas trial attorney based in San Antonio, TX. I specializing in many types of cases including personal injury, wrongful death and insurance cases, as well as family, and criminal cases. I graduated from St. Mary’s University in San Antonio with a Finance degree and attended law school at The University of Texas at Austin. I have been licensed and practicing law for over 30 years and would be honored to represent you, your family or other loved ones. Please take a few minutes to read my very positive client reviews contained on the website and feel free to reach out for a free consultation. As background on me, I have several key reasons for becoming an attorney but the primary one is that, growing up, I experienced many situations where I saw my family and friends taken advantage of by greedy businesses and large insurance companies. Thus, most often, I fight for clients who are considered the “Davids” taking on the “Goliaths.”. Growing up in San Antonio, I am bi-lingual in English and Spanish, and hope this allows clients from all backgrounds feel comfortable consulting with me. I have been a licensed attorney for over 30 years and have the extra achievement of being certified in the area of specialization of personal injury trial law in the first year of eligibility by the State Bar of Texas, Legal Board of Specialization. This means that I am recognized as having special recognition in any and all cases involving personal injury, accident and insurance law. I have helped clients from the ground up, that when a client comes to me for help, I get involved right away, I make sure any investigation is underway through use of licensed private investigators, experts are often consulted and hired to help the client’s cause. I make sure that my clients are getting safe and proper medical or counseling help, as well as transportation needs are met. I can offer my clients real advice, experience, and value in car wreck cases, including truck and passenger bus wrecks, as well as work injuries (office, warehouse, construction, oilfield), defective products causing injury or death, homeowner claims (such as dog bite attacks, swimming pool injuries, apartment injuries due to property conditions), retail store injuries due to dangerous conditions, medical malpractice in hospital or nursing home, and injuries including back, neck and spine, as well as brain injuries, and wrongful death. Additionally, I have guided several clients through class action type cases and have been able to give my advice on whether to join a class or handle the case separately. During my 30 year career, I am proud to say I have helped many people and obtained thousands of settlements of injury and insurance cases for my clients. From helping thousands of clients resolve their most serious injury and death cases to helping those in small damage cases, I have been able to give my clients the guidance they need and settlements they deserve. Many personal injury clients who we represent come back to us when they need help on other type of cases, such as criminal accusations, drug charges, and false sexual accusations. We also have assisted many clients – mothers, fathers, grandparents and family members in claims involving family law and children, including child visitation. As a result, we have a very high client return and referral rate. In additional to individual clients, I also provide counsel to a number of businesses in San Antonio and South Texas, including Laredo, Corpus Christi, Eagle Pass, the South Texas Valley and Rockport, Texas in contract disputes, writing enforceable contract and terms and minimizing damage or harms. I have been able to serve the community through various organizations including The Benitia Family Center, LULAC Council Number 2, and currently serve as the Board Chair for Special Reach, Inc., a non-profit that provides services to families and children with special needs. I am licensed to practice law in State Court of Texas and Federal Court in the Western District of Texas. Harlandale and South San Antonio Independent School District, St. Mary’s University, BBA Finance, and a law degree from the University of Texas at Austin. Texas; United States Federal District Court for the Western District of Texas; State of Illinois (inactive). San Antonio Trial Lawyers Association, San Antonio Criminal Defense Lawyers Association. ; Capitol Area Trial Lawyers Association; Houston Trial Lawyers Association, past member of the Texas Trial Lawyers Association, the Mexican American Bar Association, and the Hispanic Chamber of Commerce. The Law Offices of Rudy Vasquez is an accredited business with the Better Business Bureau and been in business for over 30 years. Home > Rudy M. Vasquez, Esq.